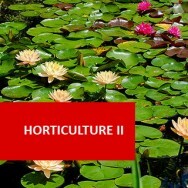 Horticultural Marketing course online. Understand marketing in the horticultural industry. 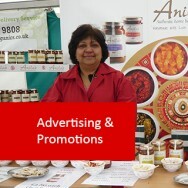 In any business, including horticulture, success depends upon good marketing of your product. 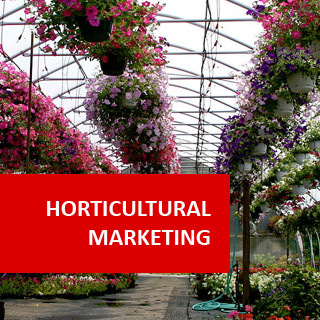 This subject covers the theoretical and practical importance of marketing in the horticultural industry, including topics such as advertising, promotions, signs, customer relations, pricing strategy, labeling, transport, product presentation, and more. 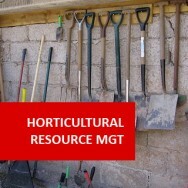 Explain different components of the marketing process which may be used in the horticultural industry. Explain different marketing methods for horticultural products and services. Explain the role of customer service in horticultural marketing. 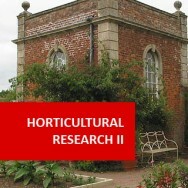 Conduct market research into a product or service in the horticultural industry. Develop an advertising program for an horticultural enterprise. Develop an appropriate marketing strategy for a given horticultural situation. Explain the concept of supply and demand, in a specified horticultural context. Explain two specified economic theories in relation to two different horticultural commodities. Define twenty five terms relevant to horticultural marketing. Distinguish between marketing and selling in a horticultural enterprise. Compare different packaging strategies for various horticultural products. Analyse the labelling of three different horticultural products, to determine possible improvements. Analyse options for transportation to market of two different horticultural products. Analyse storage options during marketing, for two different horticultural products. Determine criteria which are critical to the marketing success of two different horticultural products. Describe specific examples of three different marketing strategies, used in the horticultural industry. 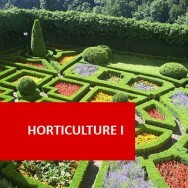 Analyse the marketing of a specific, successful product or service, in the horticultural industry. Determine target markets for three different selected horticultural products. Compare the marketing of a specified horticultural product using different marketing methods. enterprises, to market their products or services. Evaluate positive features of customer service, in a specific horticultural enterprise. Evaluate negative features of customer service, in a specific horticultural enterprise. Explain the importance of consistent product availability, in a specified horticultural enterprise. Explain the importance of well-trained customer service providers, in a specified horticultural enterprise. Develop guidelines for maintaining good public relations, in a specific horticultural enterprise. Prepare a customer service policy for a selected horticultural enterprise. Design a questionnaire to determine demand for a new specified horticultural enterprise, in your locality. Design a questionnaire to determine customer attitudes towards a specified horticultural product or service. Determine the socio-economic attributes of clients of a specified horticultural enterprise, investigated by you. Determine the behavioural characteristics of clients of a specified horticultural enterprise, investigated by you. Conduct market research into a specific product or service, by questioning a representative sample of ten customers, of a horticultural enterprise. Collate statistics from conducted market research that you conducted. Analyse statistics relating to market research undertaken by you. Explain appropriate applications for different advertising avenues, in the horticultural industry. Develop guidelines for writing advertisements for a specified horticultural service or product. Write appropriate advertisements for three different specified horticultural services or products. 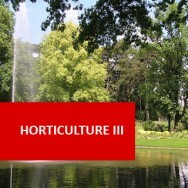 Prepare an appropriate brochure, to the stage of finished art work, for a specific horticultural product or service. Evaluate the response from specific horticultural advertisements. Evaluate two different advertising methods used in a horticultural enterprise investigated by you, in terms of costs versus benefits. Determine the significance of packaging, presentation and labelling to marketing of a specified horticultural product. 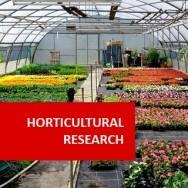 Estimate the relative benefits four different techniques which may be used to promote a specific horticultural enterprise. Produce design for a specific nursery, farm, or other horticultural enterprise, to enhance marketing in that enterprise. Develop a promotional campaign for a specified horticultural product or service. Explain two different methods of determining a price for a specified horticultural product. Research has consistently shown that only a minor proportion of dissatisfied clients or customers will actually lodge a complaint. (Note: Research from America shows that 96% of customers never complain. Ref: ‘Selling Today’ by Manning et al: Allyn & Bacon: 1989). As such, it is always reasonable to assume that one complaint made probably indicates that there are many customers who are dissatisfied. An effort should constantly be made to identify dissatisfied customers; particularly the silent majority who do not complain. If these people can be identified before they cease being a customer; there is an opportunity to deal with any problems, recapture their confidence, and retain their patronage. Effective and consistent communication with customers is very important. Use regular questionnaires (Invite customers to write down any suggestions about how you can improve your service. People who don't complain may raise issues of concern on a questionnaire). Talk to patrons frequently, and ask how you can help them more? If you are relaxed in your approach, they will be more relaxed about giving a truthful response. Keep good records of when specific patrons use your services; and analyse the records to determine any changes in a person’s pattern of usage. If there is a negative trend, ask them why (in a relaxed way without intimidating them). · When a customer talks, Listen! Hear what people say, remember it, write it down, and analyse it. Do not dominate a conversation when someone is trying to express discontent. Never attempt to give an alibi. It is tempting to attribute blame when criticised but a customer will respond far better to positive comments (e.g. “thanks for letting us know; we'll try to do something about that straight away"). You can politely explain reasons why things are the way they are but try to do it in a positive way. Although there may be a cost involved in satisfying a disgruntled customer, there can be a greater cost involved in losing that customer (i.e. extra promotion will be required to replace that customer, extra work may be required to counteract the negative publicity given by a dissatisfied former customer telling his/her friends what they think about you). A customer lost is more than lost business from ONE person. Anyone who abandons a service or organisation (due to a perceived disservice) will tell many other people of their dissatisfaction. Show appreciation to both the customer, and staff for sales or deals made. Follow up all significant sales. Follow up all new customers. Maintain a written record of any assurances or promises given to customers, and follow them up to see they are met. Maintain a record of any important (and perhaps unique) personal characteristics of particular clients or customers. Communicate with customers/patrons (Keep them informed of any new developments). Maintain good communication and rapport with any front line staff (ie. who deal with customers on a day to day basis), and make sure they are aware of what is required of them. Front line staff should continually show appreciation to customers for their support.